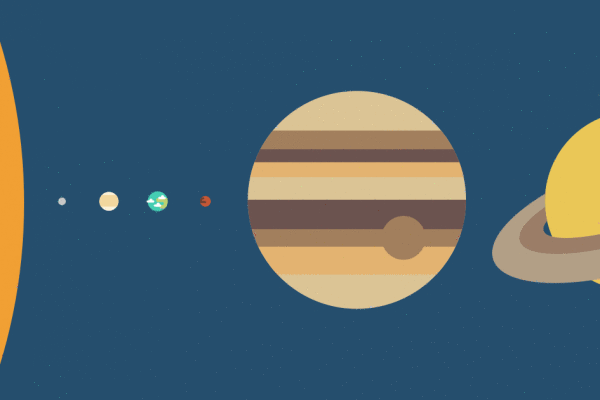 How far away from Earth or the Sun are the other planets in our solar system? How big and bright do the planets appear in the sky? Move back and forth in time with our new interactive planet charts. We have also launched charts illustrating the order of the planets and their relative sizes. Try the new planet chart now! Our new Moon Phase Simulation has different views of the Moon's position in space. It shows current Moon phase, illumination, distance from Earth, and latitude – in real time. You can also fast forward and rewind. Wonder how many days are left before your deadline? Or exactly when those 30 days are up? 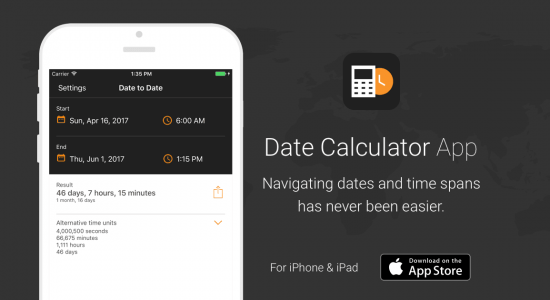 Use our new Date Calculator app for iOS to find the exact number of years, days, and even seconds between two points in time. Navigating time spans has never been easier!